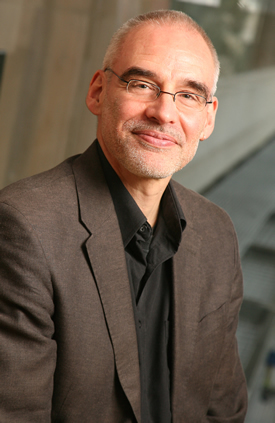 Roland Bleiker is Professor of International Relations at the University of Queensland. He grew up in Zürich, Switzerland, where he was educated and worked as a lawyer. He then studied international relations in Paris, Toronto, Vancouver and Canberra. 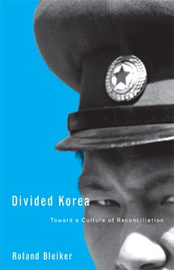 Professor Bleiker worked for two years in a Swiss diplomatic mission in Panmunjom, the Korean DMZ. He held visiting research and teaching affiliations at Harvard, Cambridge, Humboldt, Tampere, Yonsei and Pusan National University as well as the Swiss Federal Institute of Technology and the Institute of Social Studies in The Hague. 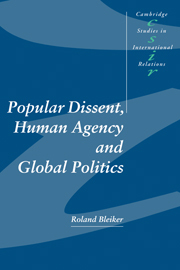 Professor Bleiker is the author of several books, including Aesthetics and World Politics (Palgrave, 2009); Divided Korea: Toward a Culture of Reconciliation (University of Minnesota Press, 2005) and Popular Dissent, Human Agency and Global Politics (Cambridge University Press, 2000). He is currently working on a project that examines how images, and the emotions they engender, shape responses to humanitarian crises. Recent samples of this work in include an essay on “Multiple Methods for Visual Global Politics” (forthcoming in Millennium: Journal of International Studies) and a co-edited Forum on “Emotions and World Politics” in International Theory (Vol 3/2014). My book is an attempt to provide a systematic introduction to the aesthetic turn in international political theory: the growing recognition that aesthetic sources, such as poetry, photography, music and film, offer important insight into the issues and conflicts that shape world politics. Interweaving theory and practical illustration, I try to demonstrate how an engagement with aesthetics helps us understand and perhaps even address key political challenges, including terrorism, inequality, poverty and authoritarianism. In essence I try to ask: what types of political insights can aesthetics sources offer that we cannot gain through more conventional political analysis. In the first part of my book I draw upon different theoretical sources, such as the concept of the sublime or the juxtaposition of mimetic and aesthetic approaches. I highlight how we represent political events and what consequences this has for our understanding – and political engagement – with them. I illustrate the issues at stake by engaging the phenomenon of global terrorism, showing how we can rethink the issues at stake when viewing them through aesthetic sources, such as painting, literature, photography, architecture and music. In the second part of the book demonstrate how, in different cultural and historical settings, aesthetic insight can give us new perspectives on key political dilemmas. My case studies deal with topics that range from war and genocide to authoritarianism and poverty. They move from Stalinist Russia to post-war Germany, from Cold War Eastern Europe to Chile and contemporary Korea. I argue that aesthetic sources offer us alternative insight: a type of reflective understanding that emerges not from applying the analytical skills that are central the social sciences, but from cultivating a more open-ended level of creativity and sensibility about the political. It offers us a new way of conceptualizing and understanding political issues and problems. I have had a long interest in questions of aesthetics and politics. My first systematic statement on the issue was in a journal article on “The Aesthetic Turn in International Political Theory,” published in Millennium: Journal of International Studies (Vol. 30, No. 3, 2001). For many years, I focused my aesthetic inquires on issues of language and poetics. In more recent years, I focused in particular on the role of visual factors. Besides looking into the links between art and politics, I am, at the moment, involved in a long-term collaborative project with Emma Hutchison and David Campbell. We examine how images shape responses to humanitarian crises. There is already a lot of very exciting research out there on the aesthetic turn in international relations. But there is even more room left for new inquires on numerous links between aesthetics and politics.